Life can come at you fast sometimes, both good and bad. Social media is great, but there’s just SO much of it. Not to mention real life stuff that always seems to be happening. There’s one guaranteed way to escape from it all and rediscover that faith in people you might have lost: by losing yourself in a good book. Just you, a comfy spot, and an immersive world, that, when really truly great, takes you away from all that is around you, providing a much needed catharsis. It’s still an experience like no other. 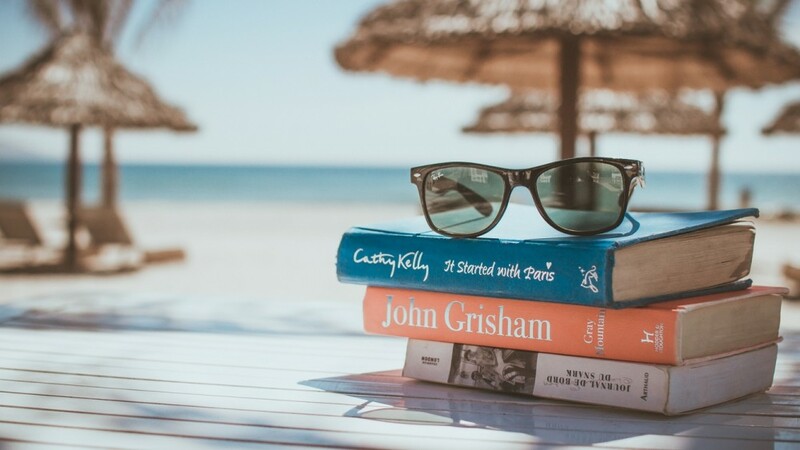 So in that vein, we at Truece.com bring you what we think are seven books that will provide an escape and maybe even restore your faith in humanity. 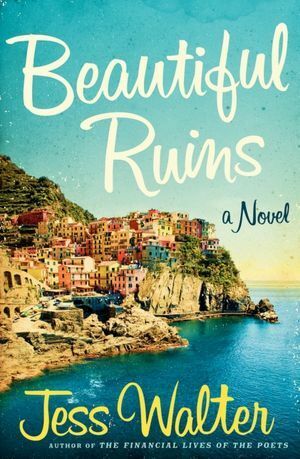 Despite the cover and maybe even some of the blurbs you might read, this is not “chick lit.” Yeah, there’s a romance at the center of the story, but “Beautiful Ruins” is a lot more than just that. Set in the 1960s in Italy, it tells the tale of a young innkeeper who falls in love with a woman who hides a secret. Sounds cliche, but throw in some old-school Hollywood intrigue, jumps in time that span over fifty years, and a cast of disparate characters that somehow all tie together, and “Beautiful Ruins” isn’t just a novel about love, but about home and family and luck and endurance, themes that resonate with everyone, everywhere. As we compiled this list, it wasn’t our intention to feature THREE books about protagonists that are dwarves/short, but it just worked out that way. This one, a tale set in Germany in the 20 years leading through WWII, has universal truths about what makes people different, and the same. Its got a great sense of history and place, opening you up to a world most of us have only seen on the History Channel and a central character that you will capture your imagination. It’s our fervent hope for humanity that everyone has already read this literary classic. If you have, read it again. And if you haven’t, we won’t tell anyone, just go out and read it. The story of young Scout and her larger than life but totally real father, Atticus Finch, is one of the great novels of all time. It so strongly evokes a sense of place and time, both of our nation and of the young female narrator, you’ll swear you were a little girl who grew up in the South in the 1930s. 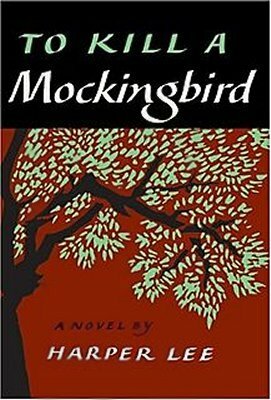 Sadly, Harper Lee passed away on the day this article was shared on our website which is all the more reason to go back and re-read this American classic. RIP Harper. Yes, this is three books. Yes, most people have seen the movies. But for straight on, totally immersive world building, few books, of any genre, do it more effectively than “The Lord of the Rings”. Tons of memorable characters, thrilling moments, vastly overmatched good guys who (spoiler alert!) triumph anyway, it’s a saga to lose yourself in for weeks. Another great classic novel, this one is all about a free spirit sticking it to the man. Our hero, McMurphy, spends much of the novel trying to subvert the iron fist rule of the dreaded Nurse Ratched. It’s a classic “man vs. the machine” novel with a gut punch ending. While some modern audience may decry its anti-female bent, there’s no denying the power of its overall message. So just think of it as the male equivalent of a “girl-power” book. 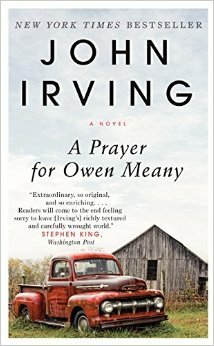 Here’s the open: “I am doomed to remember a boy with a wrecked voice – not because of his voice, or because he was the smallest person I ever knew, or even because he was the instrument of my mother’s death, but because he is the reason I believe in God; I am a Christian because of Owen Meany.” If you think that’s a truckload to unpack, you’re right. It’s a dense, long book, beloved by many, that’ll make you think a lot about a lot. It’s about religion without being a religious book, it’s about friendships and being an outsider and everything you would want from a Great American Novel. Admittedly, not a Great American Novel. Not even a novel. This a collection of some of Watterson’s “Calvin and Hobbes” comic strips. For those of you that may have never seen a newspaper, let alone read one, there was always a section of three or four panel cartoons/comics, and back in the mid-80s to mid-90s, was one of the funniest, most inventive things going ANYWHERE, in any medium. Six year old Calvin, wise way beyond his years, and his imaginary tiger have some great adventures and insightful, hilarious commentary along with it. This is a great collection to get started on that should leave you smiling, laughing, and searching for more. 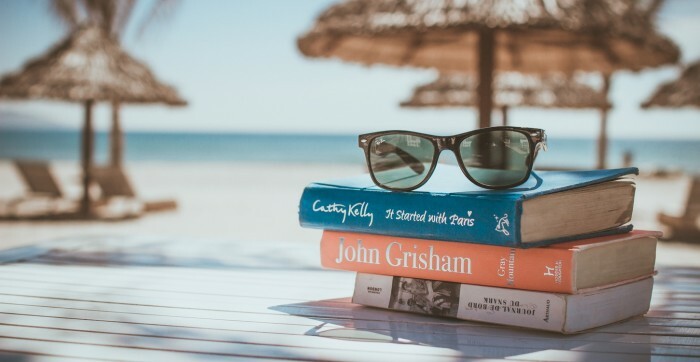 If you’re like us, a book recommendation is always a good and welcome thing and our hope is that at least a few of these books touched you like they did us. If and when you read them, let us know what you thought. And please, if you have any other book recommendations that didn’t make the list, we’d love it if you’d share with us.